What if everything you know about terroir is wrong? July 26, 2016 (Paso Robles, California) – Throughout the ages, winemaking and more recently wine marketing, has been shrouded in mystery and mystique. Centuries old traditions of terroir have been passed down through the generations like sur names. Although the tales of terroir sound alluring, and to consumers sometimes more intoxicating than the wine itself, a viticulturist from the University of California, Davis says it’s time to examine whether the tenets of terroir are myth or fact. According to Matthews, plant science and what we know about wine production has changed significantly over the years, but that the traditions and stories of why certain wines are deemed best remain unaffected. 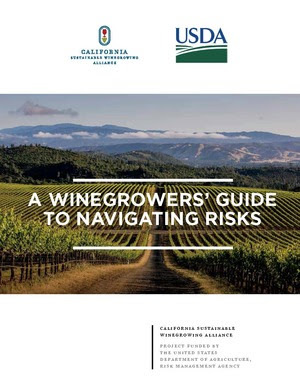 He says it is time that terroir, yield and its impact on quality and other important factors be critically and empirically reviewed so the discussion about grape-growing paradigms can objectively take place. IGGPRA president, Lowell Zelinski, who developed the seminar, is a former UC Davis colleague of Matthews. When Zelinski first heard about the book, he thought it was an important topic that the wine industry should bring to light. Admission includes lunch and limited seating is available on a first-come, first-serve basis. The cost to attend is $50/pp and $25/pp for IGGPRA members. A 20% early registration discount is available through August 12, 2016. IGGPRA just finished its June 2016 seminar at the Paso High Performing Arts Center. What a venue! Thank you Paso Robles High. IGGPRA has formed a new relationship with Paso High thanks to Joe Irick. We will update you soon on the specifics. A more complete review of the seminar will be available soon, but here’s a handout that I prepared comparing and contrasting different methods of irrigation scheduling. The handout is an abbreviated summary of my presentation posted here. Thanks to all that attended. We have a very exciting schedule coming up so stay tuned.